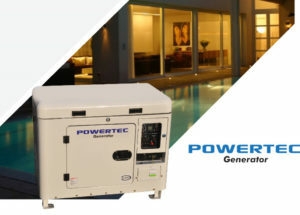 Powertec, an international brand with distribution in 60 countries presents the new line of generators HG5.500 / HG6.000 / HG10.000 /HG 12,000. The best investment in the event of power outages. It allows continuous operation of 10 hours without being refueled. HG6000), it does not depend on the battery status to tear. It has a soundproofed tested cabinet, some of the few equipment in the market which can be outside without any additional protection. 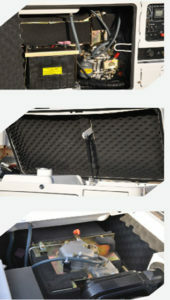 Soundproof enclosure Automatic transfer board with contactors included. It starts automatically when a power failure occurs and transfers the load to the generating set. Versions: 5.5 KVA / 10 KVA single-phase, 6 KVA / 12 KVA three-phase. And will restore electrical energy in your home in seconds.